I have worked out at home, then at various clubs, on and off since I was in junior high. I’m not a big guy so getting stronger was my main incentive. As with most people, I learned from observation, and tips from other people, how to do sets and reps. Unfortunately, I didn’t realize that I was going to be prone to clogged arteries, and in 1992 suffer my first heart attack at age 44. A year and a half later came the second one, which damaged the heart muscle and necessitated my triple by-pass. I didn’t learn until much later, that about half my heart function was negated at that time. 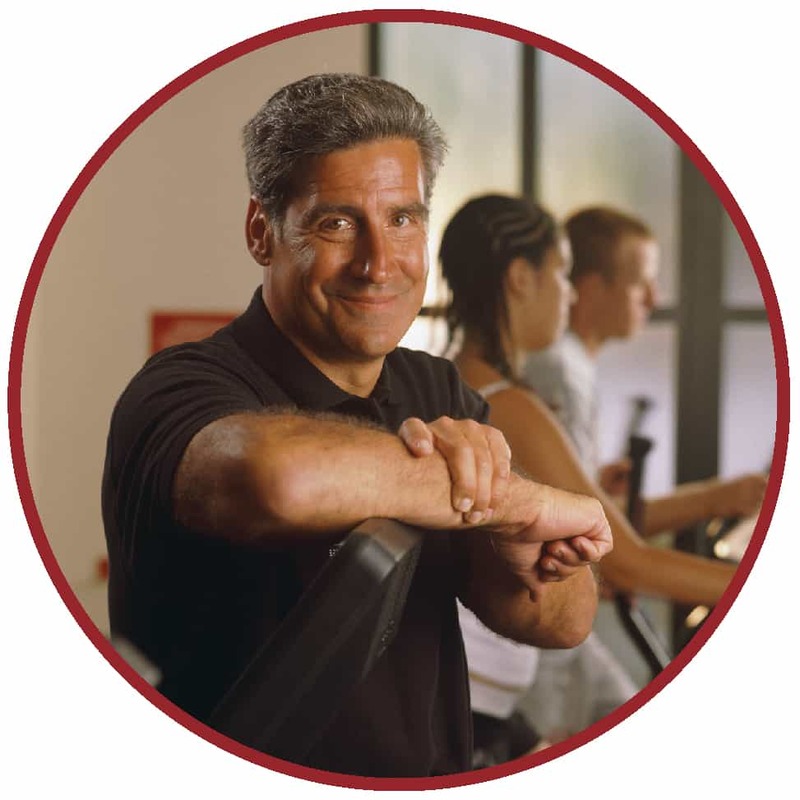 The years passed, I still worked out fairly regularly, and after moving to Orange County in 1997, I joined LA Fitness. I believe it was the late 90’s that I worked out with a personal trainer for several months at LA Fitness, then worked out on my own again. I moved in 2002 and started going to my current LA Fitness club in Yorba Linda, CA. In 2004 however, I got a stent procedure and six months later, I got another stent procedure. I never stopped working out. In 2010, I had my third stent procedure, and in 2014 I had my third heart attack. Now, I can tell you this, I looked pretty good for someone having all these heart problems. Kind of begs the question, how has working out helped? I would say this, make your body do some work and put in some effort. It can become way too easy to beg off doing anything because it takes too much effort or time. But choosing to do nothing kind of leads you to the “out of time”. I’ve made going to the gym the same as when I worked, I may not always want to go, but I NEED to go. The day I was being released, my heart doctor came in and told me I was very fortunate. He told me that because of the many years I had been working out, my body created a maze of collateral arteries around my heart. He also told me that for about any average person, they would not have survived the heart attack I had, leaving me with one functioning artery. Unlike a lot of people, I eat OK. However, I’m not exactly the poster boy for how to eat; so I work out 5 to 6 days a week. Although I don’t lift as heavy, I do more reps and sets with lighter weights and better form. A couple of years ago, I worked out with two other trainers from LA Fitness, just to kind of dial in a more effective weight lifting routine and I accomplished that. At this point in time, my goal is to maintain good muscle tone. I’m not going to recapture the energy and endurance I once had, but doing something is way better than doing nothing. It pretty much boils down to this, do what you can as much as you can, and do it safely and sensible. I’m 70 now. The clock won’t roll back, but I can try to keep it from rolling over me. All in all, it IS worth the effort. 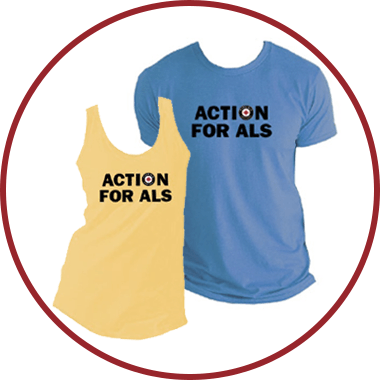 On Saturday, February 25th, all LA Fitness Group Fitness classes will participate in ACTION FOR ALS! 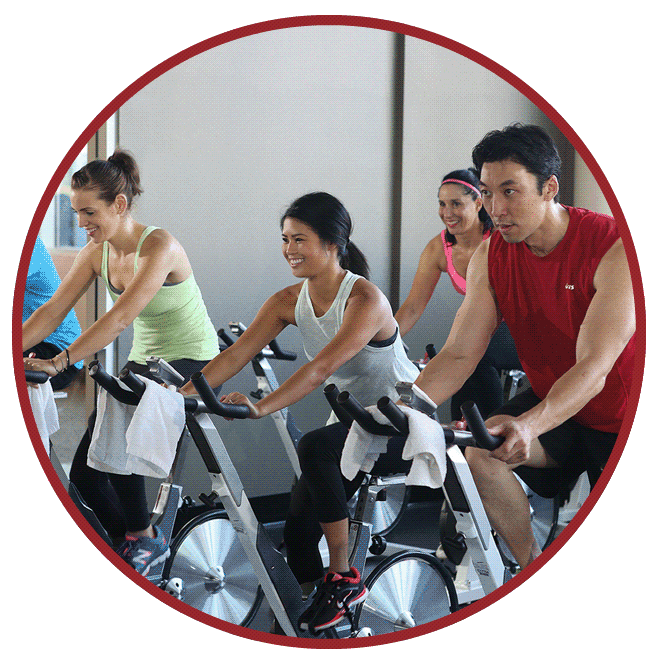 From Bodyworks to Cycling to Kickbox Cardio to Yoga and Zumba® classes, our dynamic and diverse classes will team up with Augie’s Quest in the fight for a cure for ALS! This is a fun day that you will not want to miss! Donors who give $100 or more will receive a complimentary event shirt, while supplies last! Donate $20 or more and take action by taking a class near you to help find a cure for ALS! For over 6 years, LA Fitness has supported Augie’s Quest, a nonprofit dedicated to finding a cure for ALS. ALS (Amyotrophic Lateral Sclerosis), or Lou Gehrig’s disease, is a neurodegenerative disease that can impact anyone. To learn more about LA Fitness’ efforts to help support Augie’s Quest, please visit www.LAFitnessCares.com. Donations collected online only. Zumba® is a registered trademark of Zumba Fitness LLC. ©2017 Fitness International, LLC. All rights reserved. How can I gain weight? I eat a huge breakfast +2 protein shakes every day and 6 meals daily. I’m 6 ft tall. I started at 142 lbs. I’m up to 154 and haven’t been able to add an ounce beyond that. Help, please. Focus on energy density, not just volume of food. Simply put, you need to make every bite count. So amp up calories in everything you eat and drink – entrees, snacks, beverages, and desserts. Choosing the richest options could double your calories. For example, ¼ cup of nuts provides 160 calories compared to the 40 calories from microwave popcorn. A shake made with whole milk, protein powder, peanut butter, and frozen banana slices has 600 calories versus less than 300 calories from the same volume made with low-fat milk, protein powder, fruit and ice. Meat lasagna made with regular ground beef, whole ricotta and whole mozzarella packs almost double the calories of one made with lean beef, low fat ricotta and part-skim mozzarella cheese. Adding toppings whenever possible could increase calories significantly. A humble 80 calorie blueberry pancake becomes a powerhouse 150 calories with butter and maple syrup. Laying a slice of cheese on a chicken taco adds 100 calories to each. Spreading a half mashed avocado on a turkey sandwich adds 150 calories. A scoop of 150 calorie ice cream reaches 300 calories when you top it with caramel and nuts. You’ll notice that most of the additions are in the form of fat and sugar. This is no accident, as these happen to be the most energy rich. Make every sip count by enriching your beverages. One way is to opt for the higher-calorie versions of each drink. Whole milk and nectars are richer versions of milk and juice, respectively. Go for chocolate milk for an even bigger energy load. Smoothies and frappuccinos are calorie-laden alternatives to soft drinks. Another way is to add concentrate to the liquid. For example, add 2 spoonful of dry milk or frozen concentrate to each glass of milk and juice, respectively. If you were strictly speaking of adding lean tissue, see our article How can I gain weight in muscle, not fat? My name is Alicia, I just got my results from my blood work and I am not too happy. I go 5 to 6 days to the gym, do cycling, yoga, eat very healthy — no red meat, a lot vegetables and fruit and I just don’t understand why my cholesterol is too high (250). Can you give me any advice what to do to lower it down? Soluble fiber is known to reduce cholesterol levels. It ‘sticks’ to cholesterol molecules and traps them for removal with other waste from the gut. Oatmeal, beans, Brussel sprouts, flaxseeds and apples are good sources, to name a few. Many fiber-enhanced foods contain inulin, a type of soluble fiber. Eat at least 10 grams of soluble fiber per day to reduce harmful LDL cholesterol. Soy protein from soybeans, tofu, soy milk and the like may modestly reduce LDL cholesterol, and it will take at least 25 grams per day (from whole foods, not supplements) for an effect. In some instances, 250 mg/dl total cholesterol is okay. That’s when the beneficial HDL to total cholesterol ratio is 3.5:1 or lower. For you, that would mean at least 72 mg/dl of HDL. Plant sterols/stanols are components of plants that help block the absorption of cholesterol. They are found naturally in grains, vegetables, fruits, legumes, nuts and seeds, and added to functional foods, like certain juices and heart-healthy margarine spreads. You’ll need at least 2 grams of plant sterols or stanols for a cholesterol-lowering effect. Omega-3 fatty acids (found in fish & fish oils, walnuts and chia seeds) reduce triglyceride levels, a free-floating fat not bound to cholesterol in the blood. They are also anti-thrombotic and anti-inflammatory to keep your cardiovascular system healthy. Consume fish at least 3 times per week and eat nuts or seeds daily. Blood cholesterol reduction may not be achieved though diet and exercise alone. You can thank your genes for that! Some people simply have a greater liver production of cholesterol. This article should not replace any medication, dietary instructions, or any other medical recommendations from your primary care physician. Before starting any exercise program or diet, make sure it is approved by your doctor. In some instances, 250 mg/dl total cholesterol is okay. That’s when the beneficial HDL to total cholesterol ratio is 3.5:1 or lower. For you, that would mean at least 72 mg/dl of HDL.